Whistle away with these fringed squawkers. Makes great party favors! 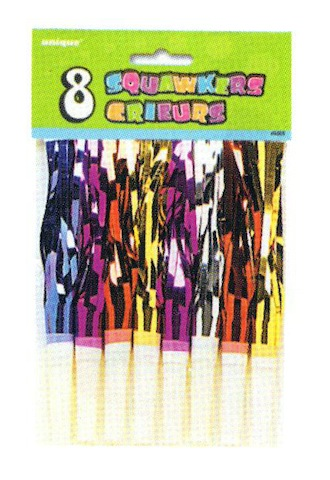 8 Squawkers per pack.